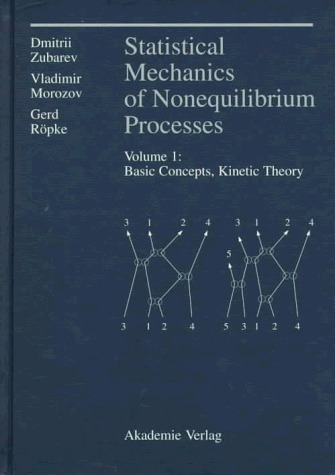 [PDF] Statistical Mechanics of Nonequilibrium Processes, Volume 1 (See 3527400834): Basic Concepts, Kinetic Theory | Free eBooks Download - EBOOKEE! Description: This is the first of a two-volume textbook on the modern statistical theory of nonequilibrium processes. The general method of nonequilibrium ensembles is used to describe kinetic processes in classical and quantum systems. The presentation of a wide range of nonequilibrium phenomena in many-particle systems is based on the unified approach, which is a natural extension of the method of Gibbs ensembles to the non-equilibrium case. No comments for "[PDF] Statistical Mechanics of Nonequilibrium Processes, Volume 1 (See 3527400834): Basic Concepts, Kinetic Theory".